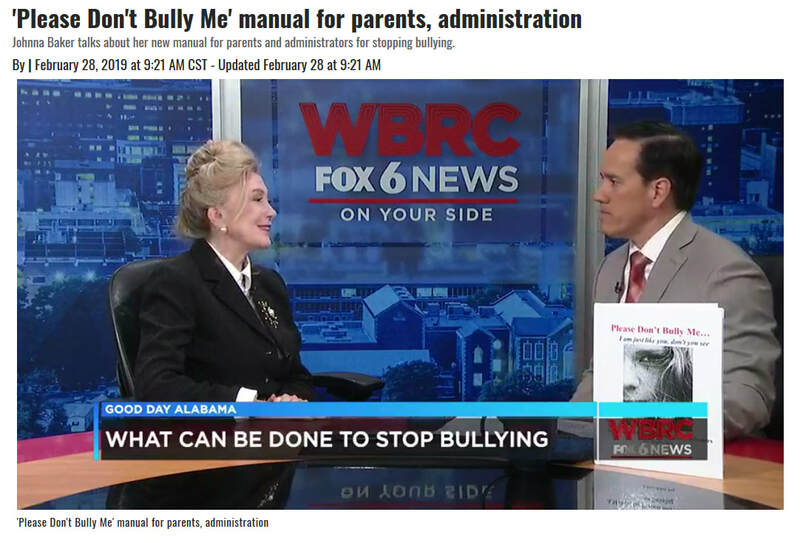 Johnna Baker was interviewed recently about her new book "Please Don't Bully Me...I am just like you, don't you see" on WBRC 6 "Good Day Alabama." Johnna Baker was recently interviewed on WVUA in Tuscaloosa, Alabama. Johnna Baker's new book Please Do Not Bully Me, I'm Just Like You, Don't You See is available for purchase on Amazon.com as of August, 2018. This book was written by Johnna Baker especially for school administrators, teachers and parents. 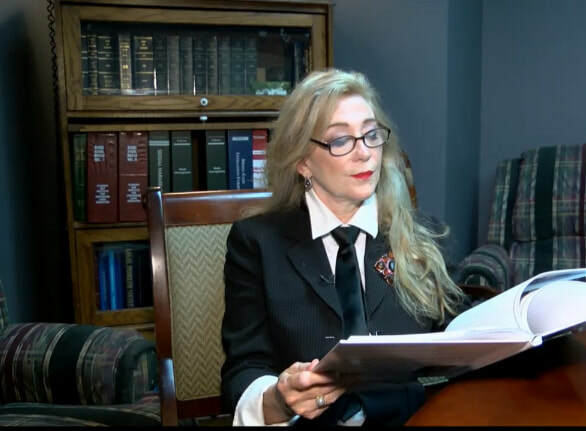 WBRC news featured the interview with Johnna Baker in this clip about the new anti-bullying law. Johnna Baker’s Book Available to Purchase on Amazon! Now available to purchase on Amazon! “Please Don’t Bully Me... I am just like you, don't you see” by Johnna Baker, Esq. on Amazon. A book signing for "Please Don't Bully Me... I am just like you, don't you see" by Johnna Baker was held at the Warehouse 319 Annex in downtown Jasper on Tuesday, Oct. 9, from 4 to 5:30 p.m.